2. Miku resins of the Czech Republic will release a kit of the AH-56 Cheyenne, hopefully before this coming Xmas. Among the references used for this kit are the original Aurora kit, drawings from Lockheed, the recent article in Wings of Fame, and photos taken at Fort Rucker, all supplied by HKN readers. A second kit of the same subject from RVHP will be ready in the spring of 2000. I am seeking confirmation of the scales of them both. 3. ExtraTECH, also of the Czech Republic, have started work on a follow-up to their outstanding 1:72 Alouette II. This time the subject will be the SO.1221 Djinn. 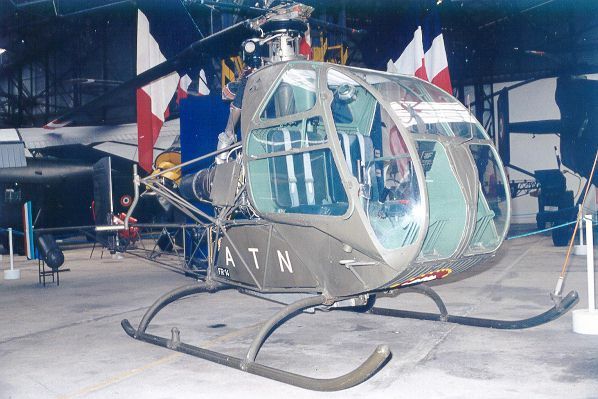 This little helicopter has previously been kitted by Graphy Air of Paris, but is virtually unobtainable now. 1:48 UH/SH-60s (possibly also in 1/72), including JASDF dragon markings. The Ecuador sheet is the long awaited IPMS Ecuador issue, and includes two Gazelles and four TH-57 JetRangers. Coming soon is Part 2, with 'at least' seven Alouette III's. The Peru sheet includes a shark-toothed Mi-24 Hind and an MBB Bo-105. Again there's a Part 2 on the way, which will include another TH-57 JetRanger. Artwork, scans, and full details at Aztec Decals. 6. FCM Decals have released their special Malvinas / Falklands decal set, items #48-MF and #72-MF. The only helicopter among the 12 subjects is a Royal Marines Gazelle, XX411. 7. Revell have re-issued #4575, their 1:32 AH-64A Apache. 8. Monogram have re-issued #5819, their 1:48 Mil-24 Hind. Thanks to Petr Zaoral, Jennings Heilig, & Antony Morgan.